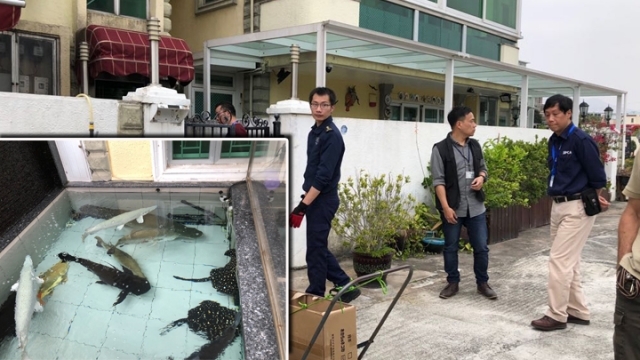 The police have arrested two men on suspicion of possessing endangered species after hundreds of animals were discovered at two houses in Pat Heung, Yuen Long. 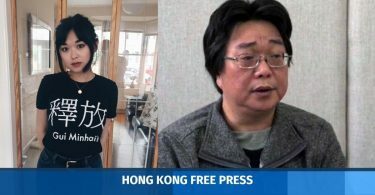 On Tuesday, the police and the Agriculture, Fisheries and Conservation Department searched a house in Lin Fa Tei on Kam Sheung Road. They found Chinese giant salamanders, black pond turtles, owls, masked palm civets, squirrels and mongooses, in addition to some poultry. The operation on Tuesday. Photo: Apple Daily. A 39-year-old man and a 27-year-old man were arrested on suspicion of possessing protected wild animals and violating the Public Health and Municipal Services Ordinance. The officers also found another batch of animals — including a Sunda slow loris, black kites, brown wood owls, otters, and leopard cats — at a house belonging to one of the men at a village house in Tin Sam Village, Pat Heung. According to Apple Daily, the 2,000-square-foot three-storey village house also contained goats and at least 70 snakes, as well as other wild animals. The creatures will be handed over to the Agriculture, Fisheries and Conservation Department and relevant departments. 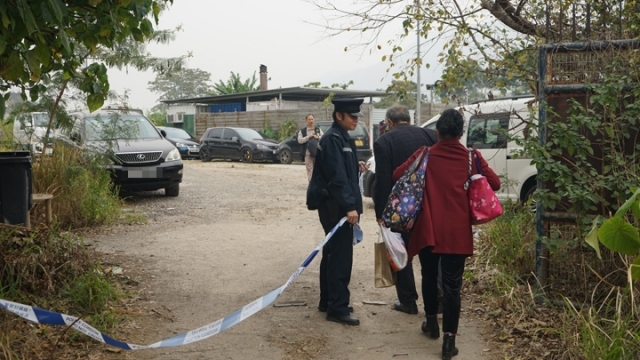 A resident near the house in Tim Sam Village told RTHK that they have heard sounds made by cats, dogs and sheep. Another said that they have heard what appeared to be noises of leopard cats fighting in the middle of the night. 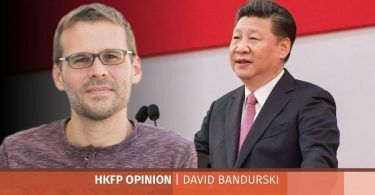 Tabloid excesses as a barometer of media freedom: Did CY Leung eat my hamster?